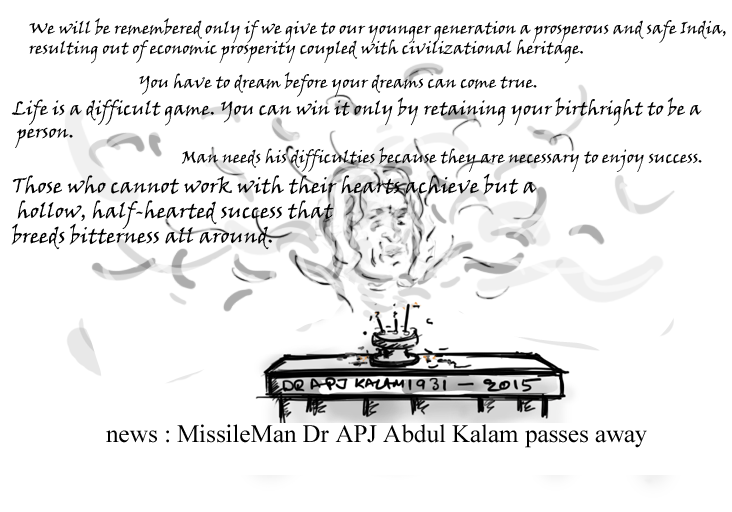 The 11th Indian President, popularly known as the Missile Man passes away due to cardiac arrest. An inspiration for a generation and beyond. Dr. APJ Abdul Kalam not contesting for President’s Post ! Dr Kalam conveyed his message of opting out from the President’s Poll to BJP Senior Leader, Lal Krishna Advani and this has left the NDA alliance in a fix. Dr Kalam was the only candidate the NDA was willing to build consensus on.Parties like Akalidal and JDU of the NDA are willing to support Pranab Mukherjee, the contestant from the UPA. Seems like there is no stopping for Pranab Mukherjee with Dr Kalam dropping the idea of contesting for the President’s Post.